This one's for the serious lifters. I was hoping I wouldn't have to do this. Really, I wish people the best on their fitness journeys and want each and every person to have the ability to work on themselves. But there's one company who claims to be one thing, but they have shown me nothing but the opposite. Yes, the "gym" that is lush in purple equipment and the oh-so-famous lunk alarm. The place that glorifies a judgment-free zone, providing a "non-intimidating, welcoming and supportive environment fosters a sense of community among our members." I find it funny that this is entirely a sham. 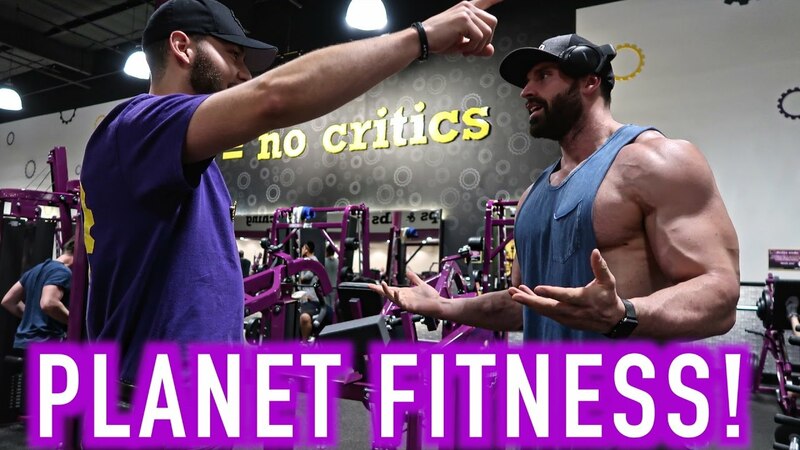 My experience with Planet Fitness was anything but what they promise: a judge-free, but well-equipped environment. The moment I walked in the door, I was blasted by a staff with lackadaisical work ethic, and a bowl of candy at the front desk. So I walk in, ready to hit my chest day hard with my water jug in hand. Then I realized — this Planet Fitness doesn't have a bench press machine. And of course, every Smith machine is taken up. Oh, what a day this is going to be. I walk over to the dumbbell rack, and of course, the heaviest dumbbells available are 80lbs; this is better than an apartment gym, but mediocre for any serious weightlifter. As I am halfway through my first set, the lunk alarm on the wall starts sounding and I look around as a staff member comes my way. He informs me that I was breathing too loudly and being a lunk. OK, what the hell is this judgment-free zone they were talking about? I exert myself with the heaviest dumbbells in the gym, and yet I'm judged for pushing my body. OK, Planet Fitness, I'm done trying to do my chest day here. I guess I'll do deadlifts now? During my first set of deadlifts (with dumbbells, mind you) I set off the lunk alarm again. I was extra careful to control my breathing, only to have a staff member tell me that I am "slamming the weights." Sorry, man, but me tapping my weights on the ground during a deadlift is not slamming weights. Do any of y'all actually have personal training certifications? Have any of you stuck to a workout plan for more than a week? I'm all about people being comfortable in the gym and overcoming "gymtimidation," which I wrote about in another article. But this environment of reprimand and restriction is worse than a gym full of 100 meatheads flexing their muscles and grunting like fiends. Let's be real, all they are selling you is a $10 pass to waste an hour of your day alongside people who don't want to deal with discomfort in order to progress. Planet Fitness, get over yourself.